PETALING JAYA (Oct 20): The recently formed Asia Pacific Space Designers Alliance (APSDA) aims to expand its member base from the current 20,540 members across eight member countries — Malaysia, China, Australia, Indonesia, India, Japan, the Philippines and Thailand — said its president Chris Yap Seng Chye. “We want to rope in more national interior design bodies across the Asia-Pacific region to enlarge our membership. We are looking at Vietnam, Laos, Myanmar and even the Middle East,” said Yap, who is also the current president of the Malaysian Institute of Interior Designers (MIID). He added that three or four bodies have applied to join APSDA and the association will process their applications after its first general assembly meeting, which will be held on Oct 21 at the Kuala Lumpur Convention Centre. EdgeProp.my is the media partner for the event. “Besides exchanging ideas and recognising the good works by our member countries, we also want to talk about interior design practices and related issues at the meeting. “Each country has its own strengths and we can learn from each other. 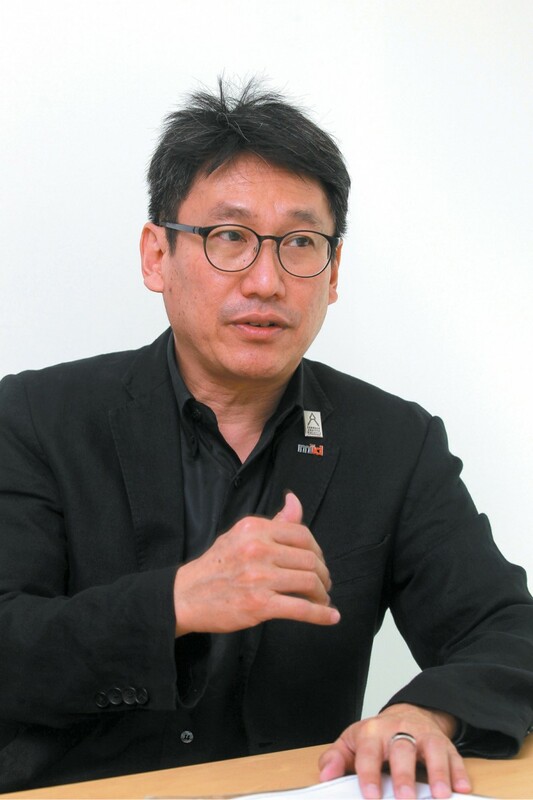 For us, we are able to share some of our experiences in the legislation of the interior design industry, which is regulated under Act 117 of The Architects Act 1967, with countries that don’t have these by-laws yet,” he told EdgeProp.my. However, Yap noted that the Malaysian interior design industry has several issues that need to be addressed, one being unregistered interior designers in the market who are running rampant. “We are still a young industry, so the awareness among the public has to be improved and we need to stamp out unregistered designers to protect the public. Although some of them deliver acceptable jobs, we do receive complaints against these black sheep who deliver shoddy work and run away with payment,” he said. APSDA had remained as a loose alliance for the past 19 years and was only officially formalised with the Registrar of Societies in Malaysia on Jan 23 this year. “Before APSDA was officially formed, the members only have meetings once every two years, so I suggested to formalise the association and meet more often to implement our plans, such as a cross-border student-exchange programme and awards to recognise excellent interior designers in the region. “Hence, the association decided to go with the suggestion in 2015. Now we will have a board meeting every quarter. Looking ahead, I hope APSDA can grow into a strong regional body that can represent the region on interior design,” he said. 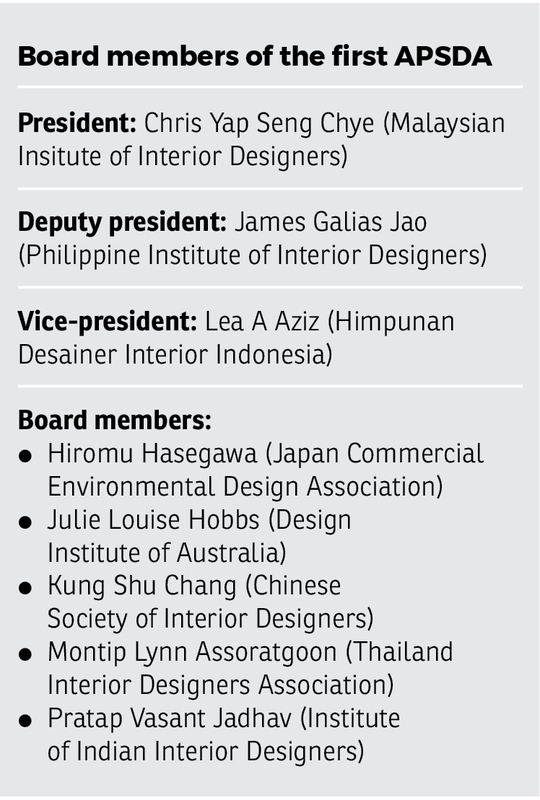 Currently, the eight national Asia-Pacific interior design bodies that are officially registered as the founding full members of APSDA are the Chinese Society of Interior Designers, Design Institute of Australia, Himpunan Desainer Interior Indonesia, Institute of Indian Interior Designers, Japan Commercial Environmental Design Association, Philippine Institute of Interior Designers, Thailand Interior Designers’ Association and MIID. This story first appeared in EdgeProp.my pullout on Oct 20, 2017. Download EdgeProp.my pullout here for free.